Hexagons appear again here on day 7 but I am sure that doesn’t surprise you! 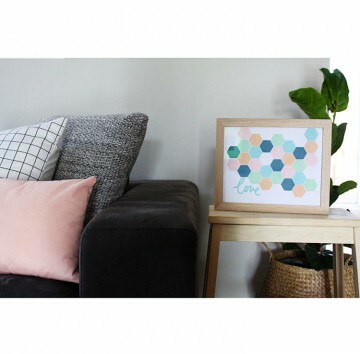 This small love hexagon is a favourite of mine. After making it in these light pastel colours (as pictured), I went on to make it in several other combinations. I will be taking them to Maribyrnong Makers Market on the weekend and I hope to hear some positive feedback from the market visitors.